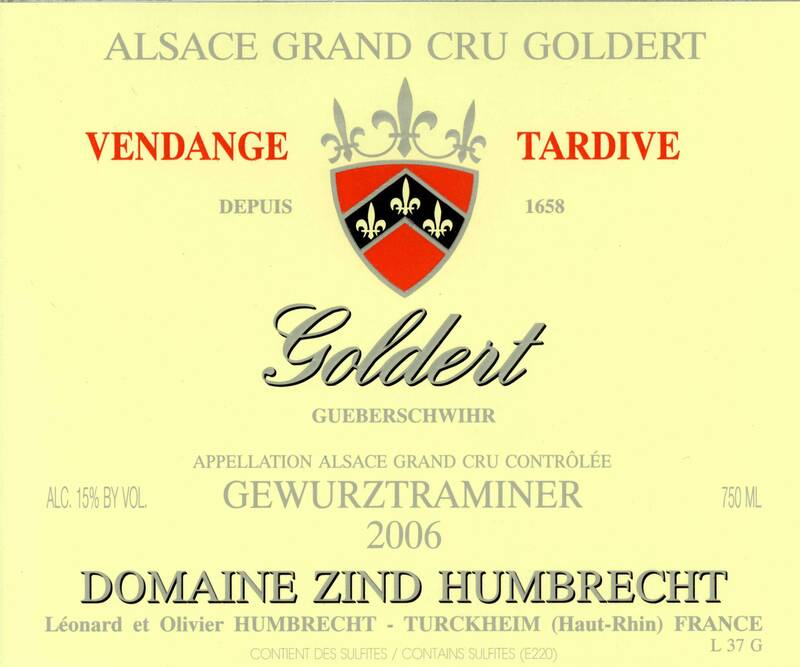 The evolution of the ripeness is always slow on the rich pure calcareous terroir of the Goldert. Naturally, we tend to leave the grapes hanging a long time, knowing that the late harvest style suits the Goldert well and botrytis always develops nicely, concentrating both acidity and sugars. In 2006, the grapes were ripe early, so, being very busy harvesting quickly all the precocious vineyard sites, we left vineyards like the Goldert alone. By the time we thought that the grapes were ripe, they were in fact very ripe, but the right way, with this percentage of botrytis that brings this extra complexity and richness in Gewurztraminer. The fermentation was steady, actually quite fast (less than 2 months) and the wine kept enough sweetness and late harvest character to qualify as a Vendange Tardive. 1/2008: the nose is still very mineral, normal after a year on the full lees, showing strong honeyed, stony, earthy peppery flavours. The palate is very powerful, dense, long, balanced with a great acidity. At this early stage, it really deserve to be opened almost for days before being enjoyed. This makes me believe that this style of wine will age very well.